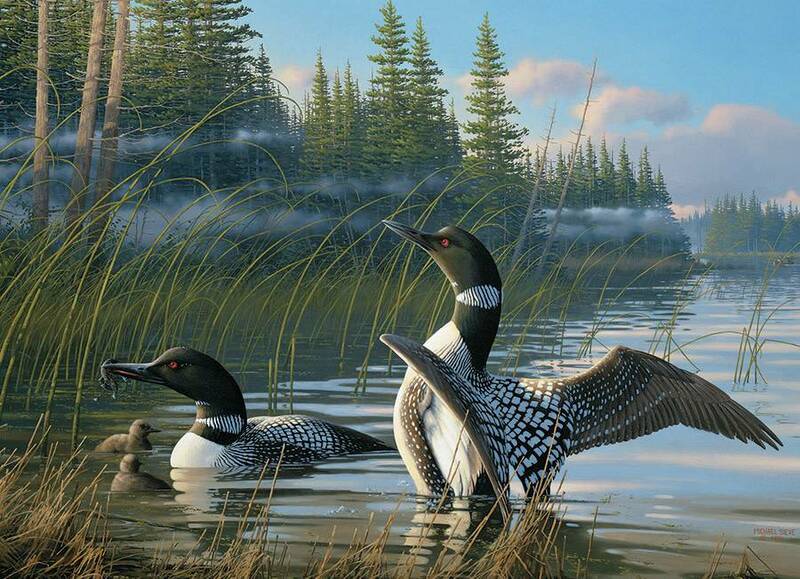 A pair of Common Loons enjoy an afternoon in the lake with their chicks as the fog creeps in from the forest. 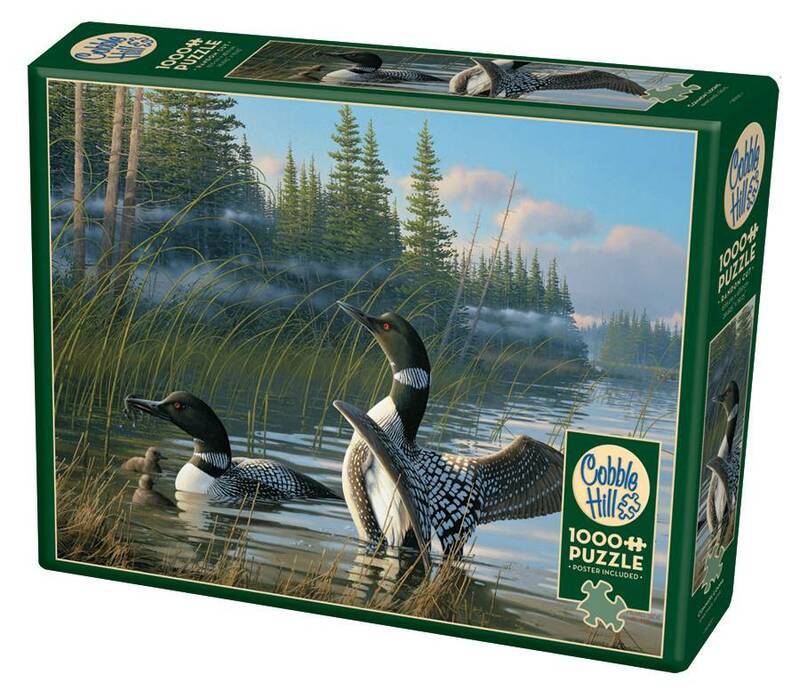 A 1000 piece puzzle for the bird or nature lover. This 1000 piece Fruit and Flutterbies features colourful butterflies fluttering about fruits and flowers. Three Scooters parked on the side of the road as the passengers enjoy the ocean air and a walk along the beach. 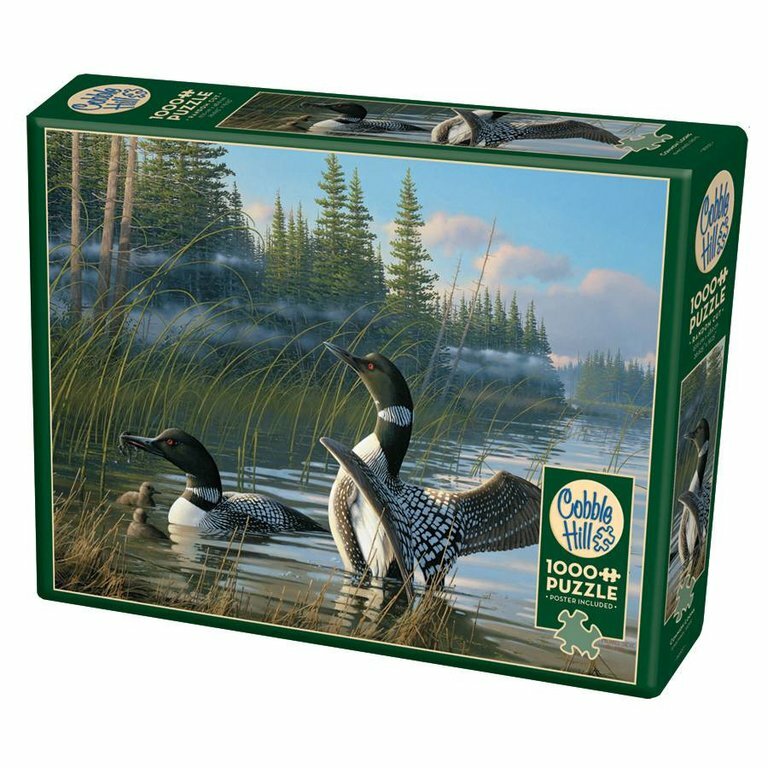 A beautiful Autumn Bouquet surrounded by pumpkins and other fruit are just the thing to attract the birds in this festive 1000 piece puzzle. What doth she hold with such rapture in her fair hands? 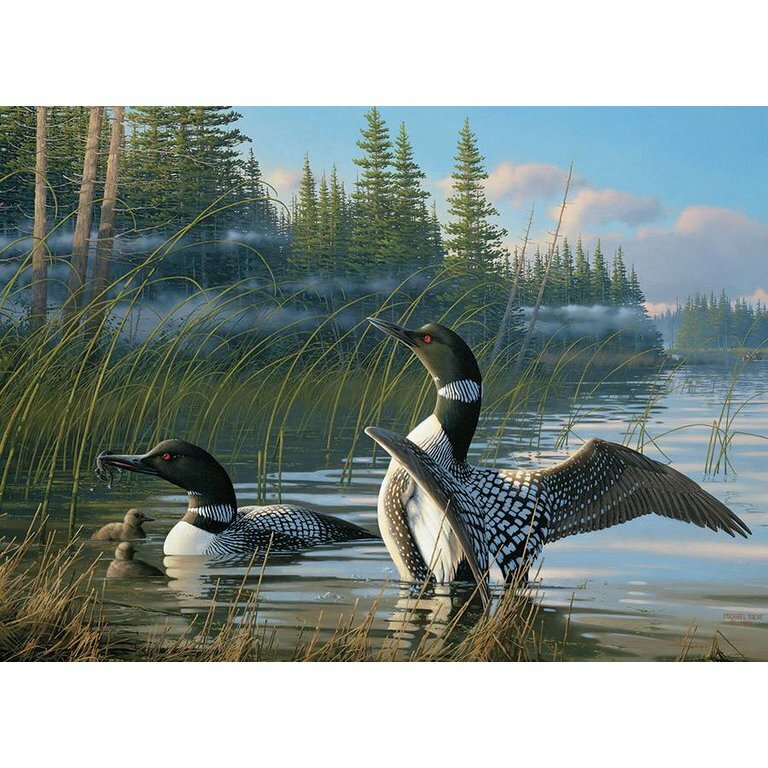 An ethereal 1000 piece puzzle that will captivate you. The mesmerizing mermaid, Onde, stares hynotically as she breaches the ocean's surface in this 1000 piece portrait puzzle.